Aside from being an incredible model, I love the photography. 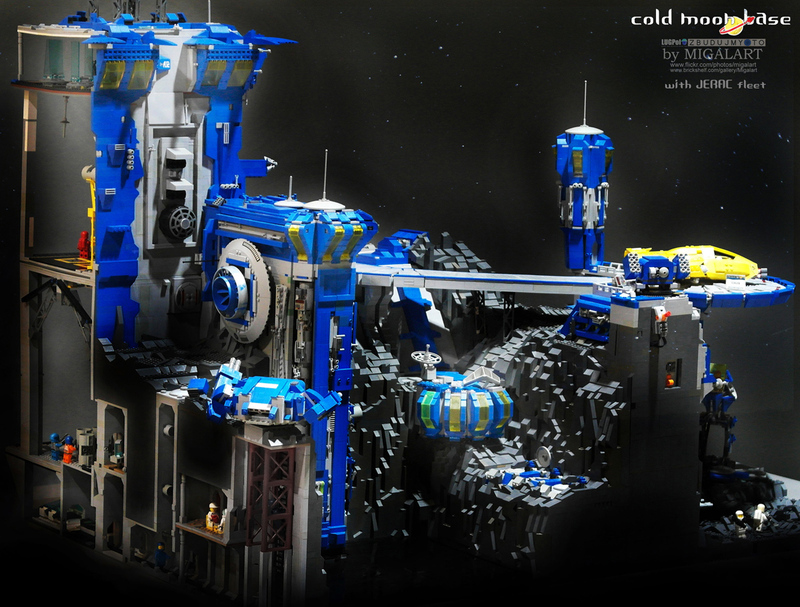 It certainly feels like a cold moon base located somewhere isolated. Somewhere remote. Give these pictures a good look. There are a ton of little details that really bring the scene to life. You usually don’t see this level of landscaping in a non-castle MOC. 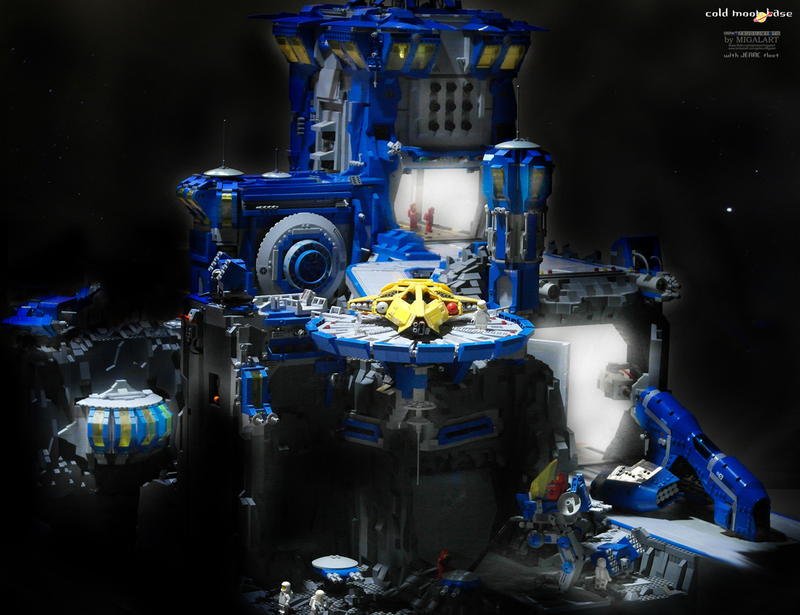 This Neo-Classic LEGO Space model features beautifully sculpted rocky terrain. Excellent work. I LOVE this picture. It really gives you that sense of cold space with its descent into what looks like a deep crevice. I can just see a spaceman clinging to the outside of this tower in a space movie. 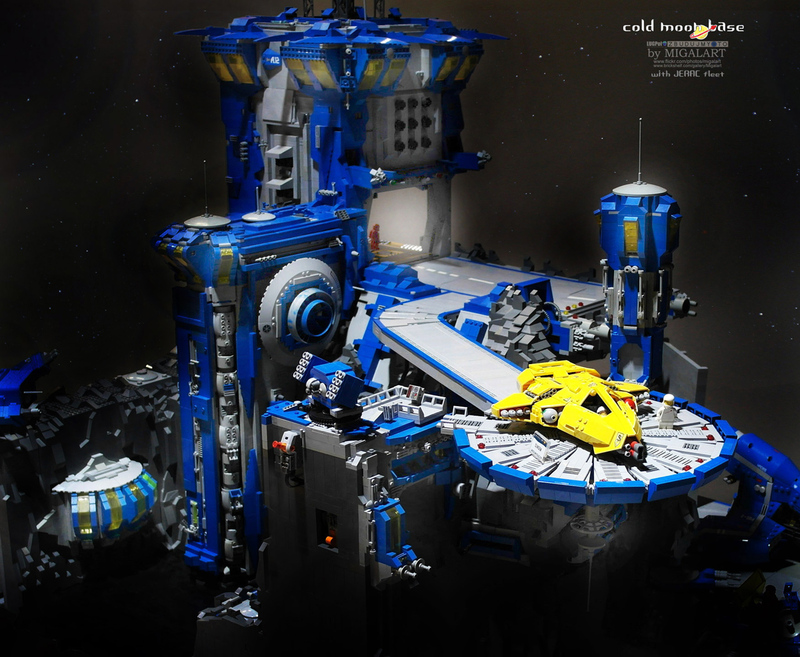 Not only is the base fantastic, but check out the Neo-Classic LEGO Space vehicles. The angles on the yellow spacecraft are beautiful. And I’d love to get a better look at that blue vehicle to the lower right. It looks like some sort of heavy bomber. The behind the scenes work is top notch. Just look at all the activities going on! And yet another sweet looking vehicle. Excellent work here. 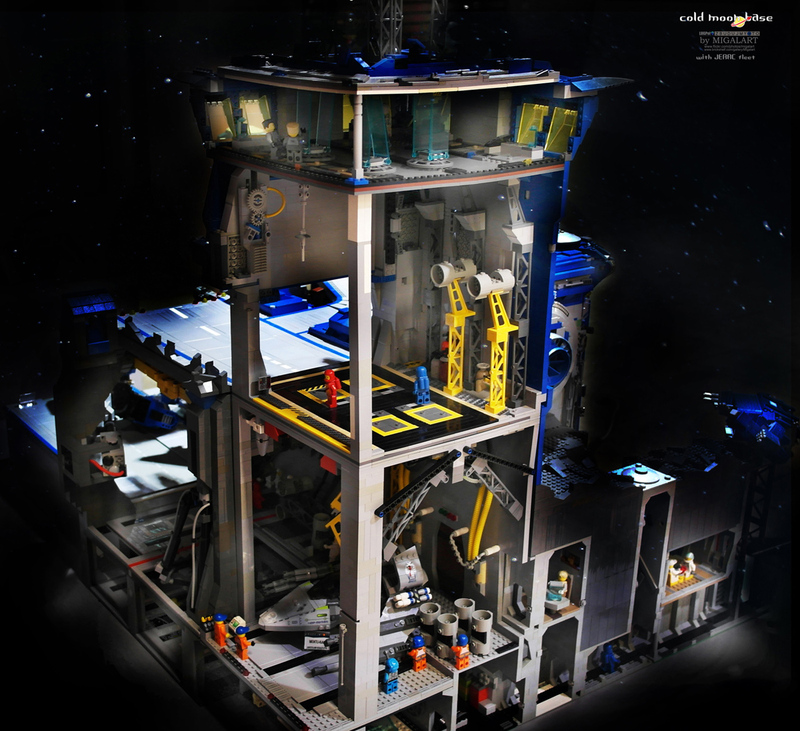 How do you feel about Neo-Classic LEGO Space creations? 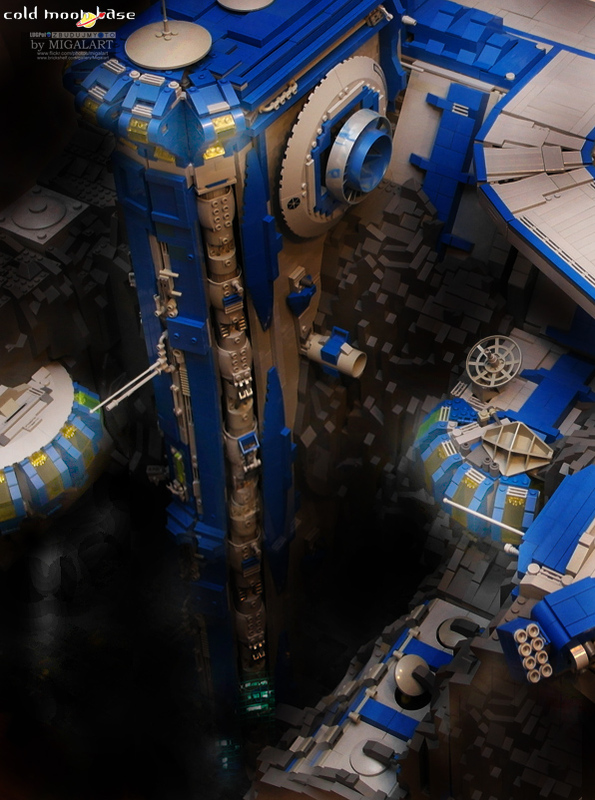 Have you seen this MOC yet? Amazing attention to detail. Probably the best model I’ve seen. Yeah, the detailing is mind blowing. It’s just very well thought out. It looks like it has everything a moon base would actually need to be sustainable.